I started this cardigan along with one other and a jumper on our recent 30 cruise of South America. I knit every night in the Theatre waiting for the shows to begin. I also knit on the plane (a forever journey to Buenos Aires and home from LA) and even on the tender boats to the Falkland Isles (about 40 minutes). Clara and her Mum and Dad and sister Carys are off to the UK tomorrow for a week, then Scotland for a week, then Iceland for a week ending in Phuket for one of those Luxury Escape deals. I feel certain she will need it in Iceland and possibly Scotland. Finished just in time. 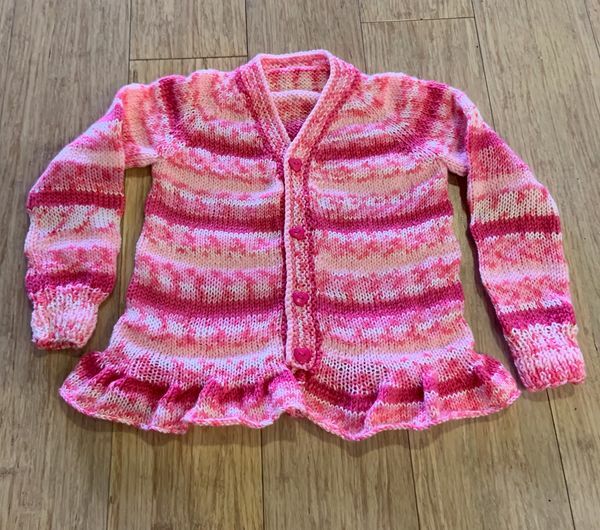 I used Ice Yarns Candy Baby (the variegated yarn) with stripes of dark pink and pale pink. These were her choices. 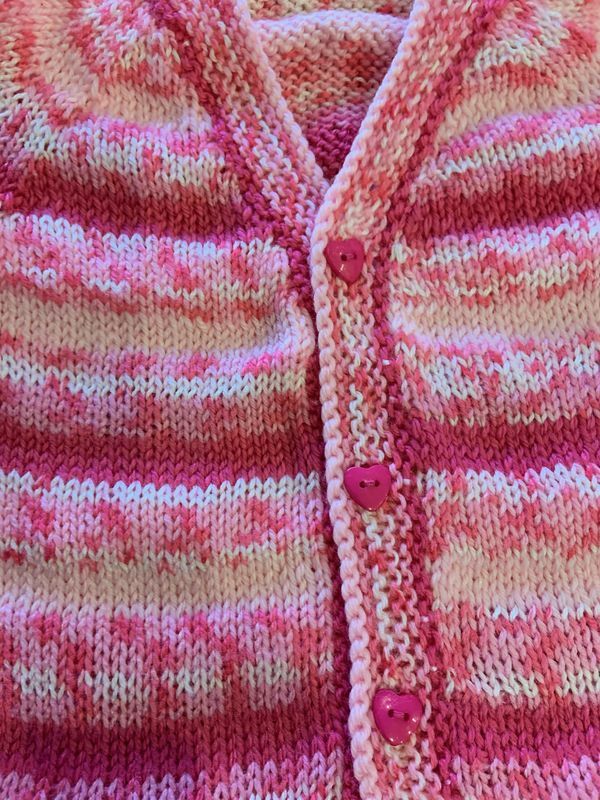 My own 'v' neck cardigan pattern. So cute and nicely done! Very nice and sweetly feminine.